We can reach more of your audience. 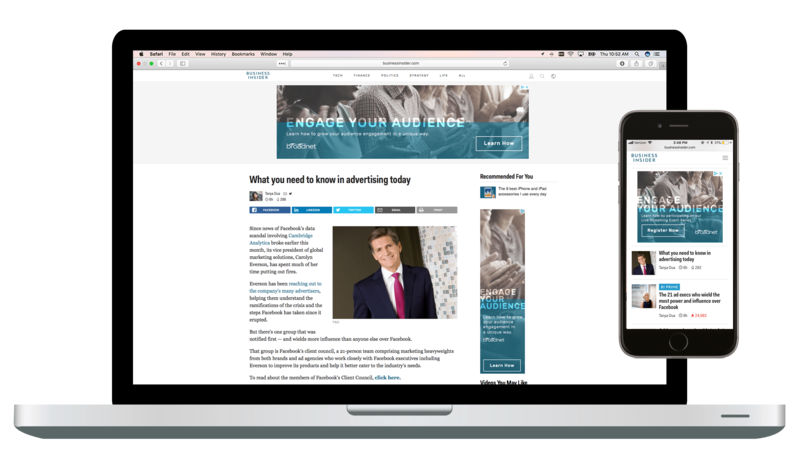 What if you could double your audience? You can. 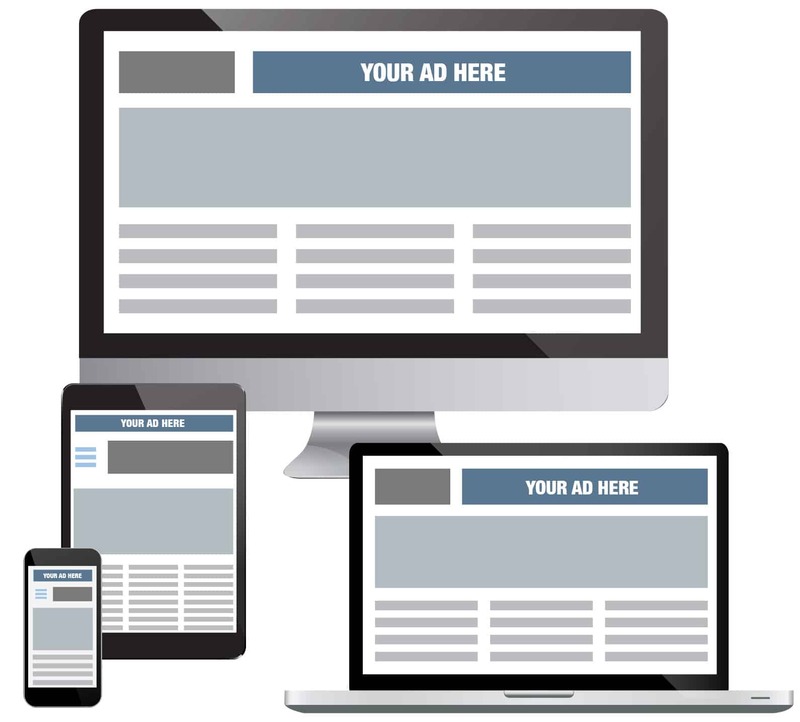 Our digital advertising solutions help you reach the people who already know you, help you find the people who should know you and identify those you need to meet. There is an answer. 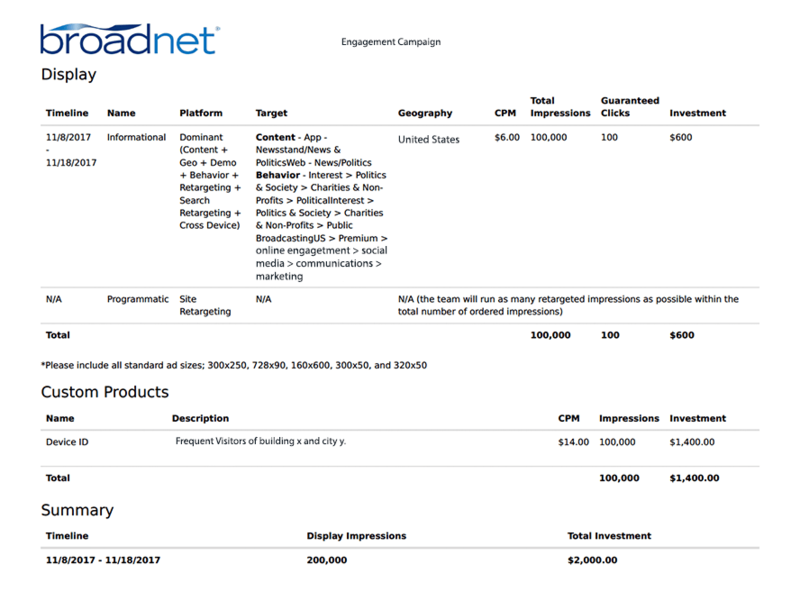 Because Broadnet’s platform hosts events with opt-in audience members only, we are in a unique position to help clients with subsequent digital advertising strategies. Communicate your message wherever your consumers are. 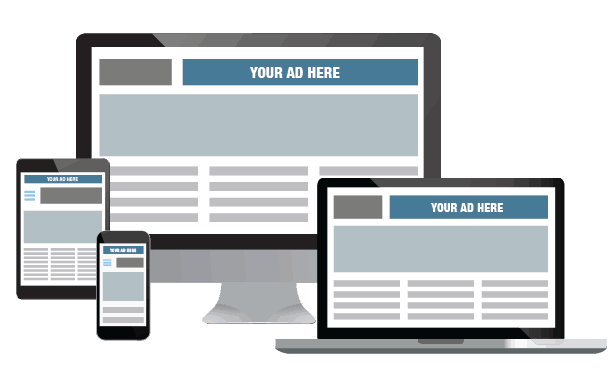 Customize digital advertisements to your look and feel. Build a proposal around your budget and goals. Communicate with your audience on your platform. Stream a live video event to increase your reach. Increase awareness and expand audience with marketing efforts. Allow quick access for dial-in participants. Let your audience know who is calling. Pre-event notification for leads to higher engagement. 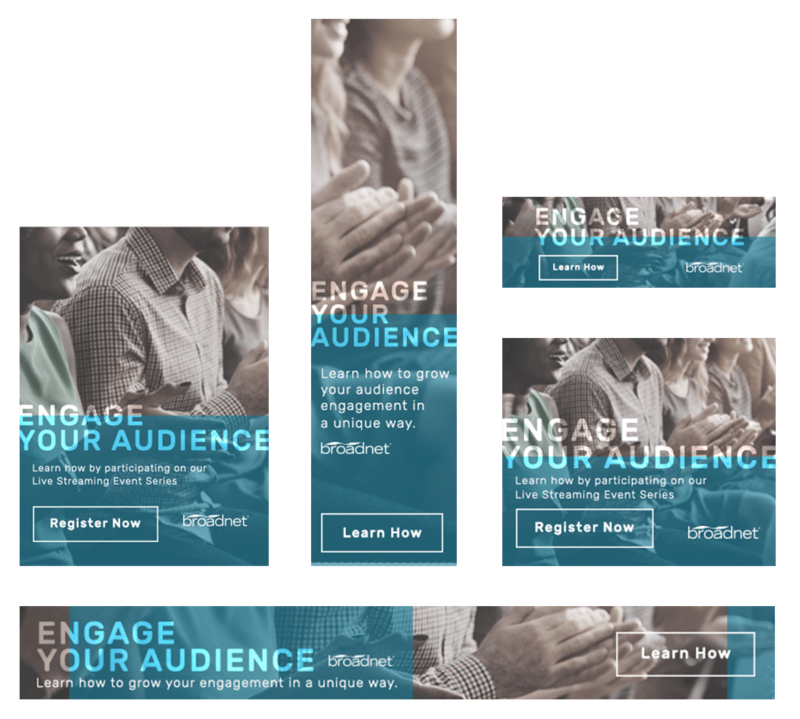 Learn how you can start finding your audience with a custom built proposal based around your budget and goals. Contact us now to get started. Let us build you a custom proposal.